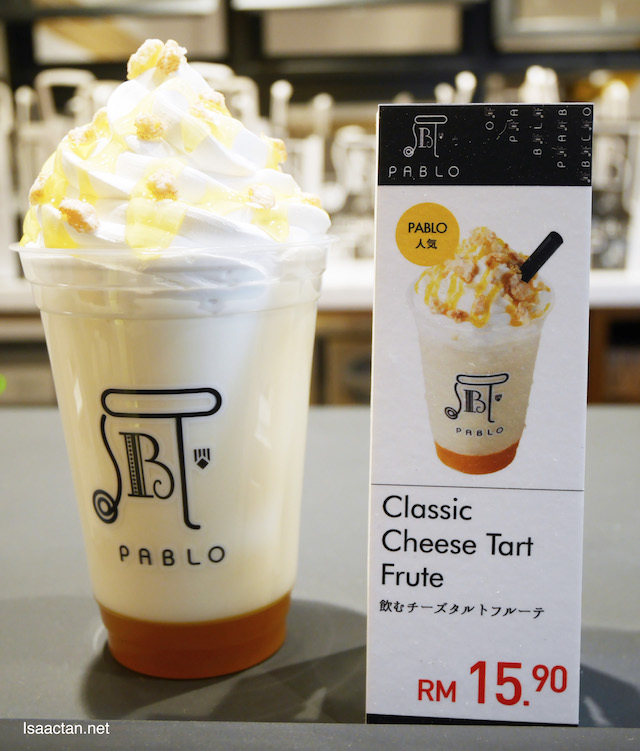 All the way from Japan, now we have Pablo Cheese Tarts right here at 1 Utama Shopping Centre. 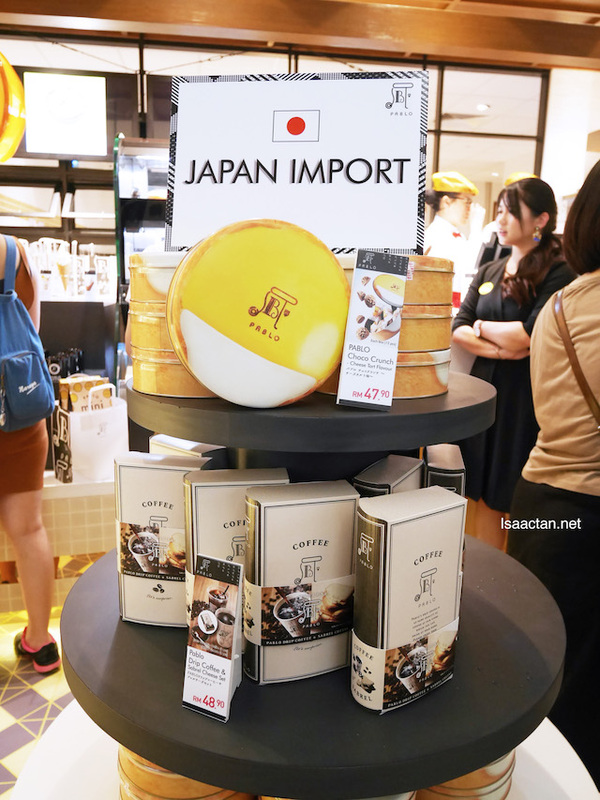 Interesting to note that it's actually the first cheese tart brand to be brought over straight from Japan, even to the machines used. 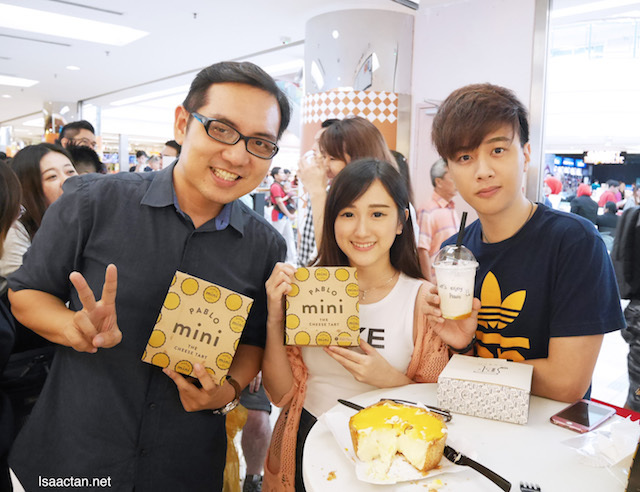 I was at their launch the other day, so do read on to see what they have to offer us. 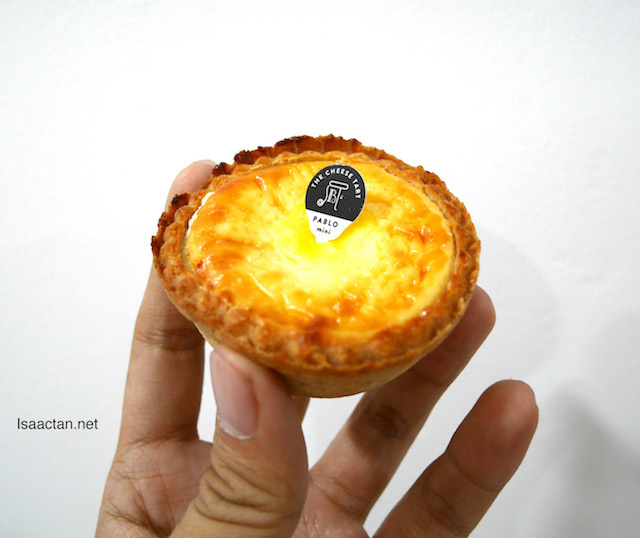 We were truly excited to try out their signature cheese tarts, especially the famous giant ones. Per my understanding, not only is the brand from Japan, the machinery used have been brought over from Japan too, and even some staff to train our locals. 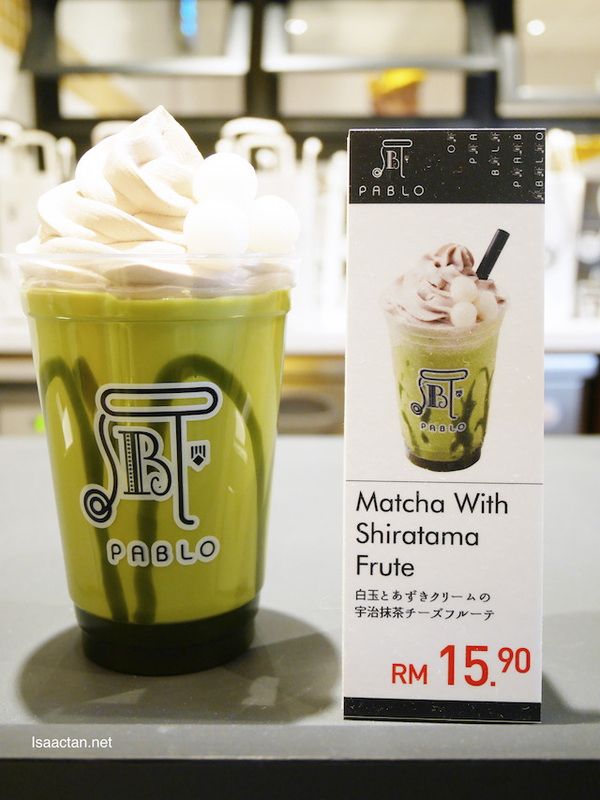 This is as close you can get to the actual Pablo noms in Japan itself! It's just so creamy, almost fluidlike. 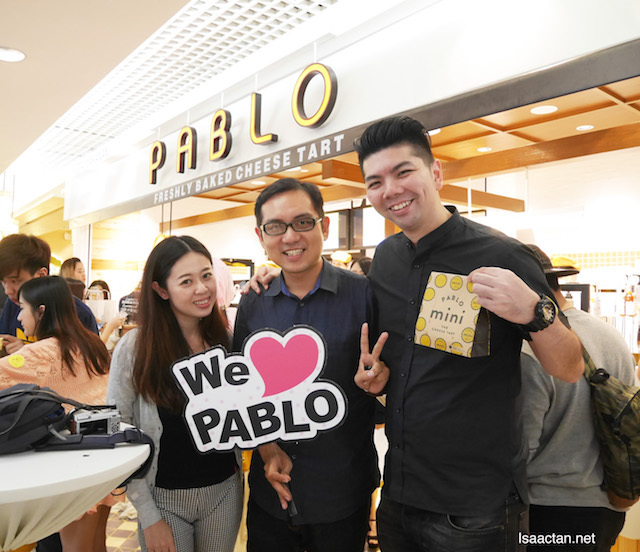 The Giant Pablo Cheese Tart is meant to be shared. 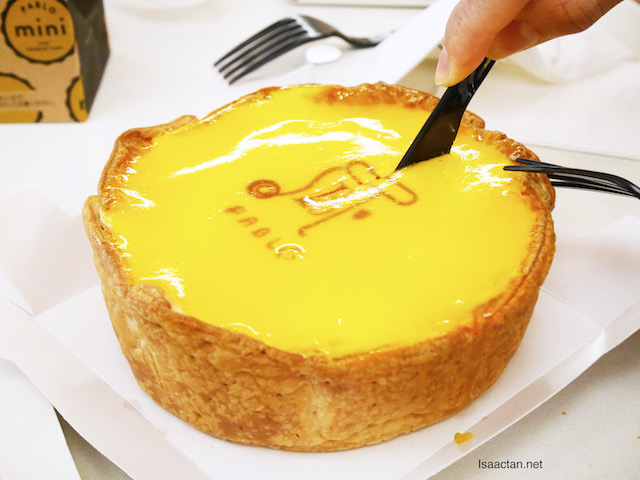 Love the flaky pastry layer outside, not so much the jelly, gelatin like layer on top with the signature logo. 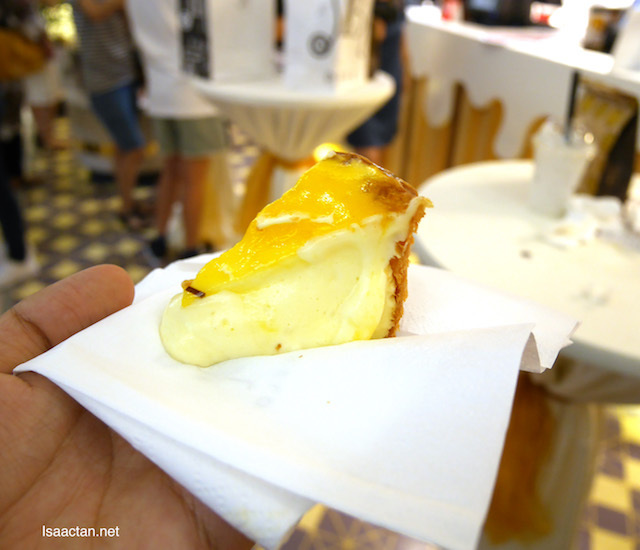 The texture is just too smooth, flowing out like lava immediately upon cutting the huge cheese tart. I would rather think of it as a cheese 'cake' due to its size. The taste is not cheesy at all, very light, almost like milk cream. 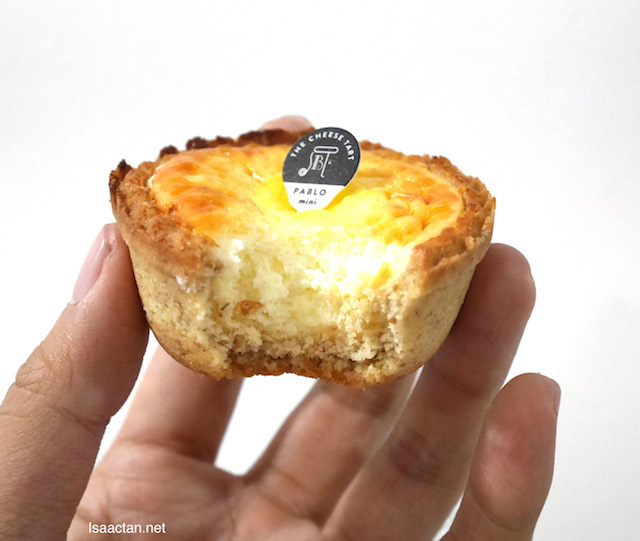 Best cheese tarts I've had in a long while, you must try these Pablo Mini Cheese Tarts! Air flown all the way from Japan only to be reheated here for our eating pleasures, I'm in love with the inner cheese paste and fluffy outer crust. It's not too mushy, with a sense of texture when you bite into it. Lovely taste too, just the way I like. Totally recommending this for those trying out Pablo for the first time. 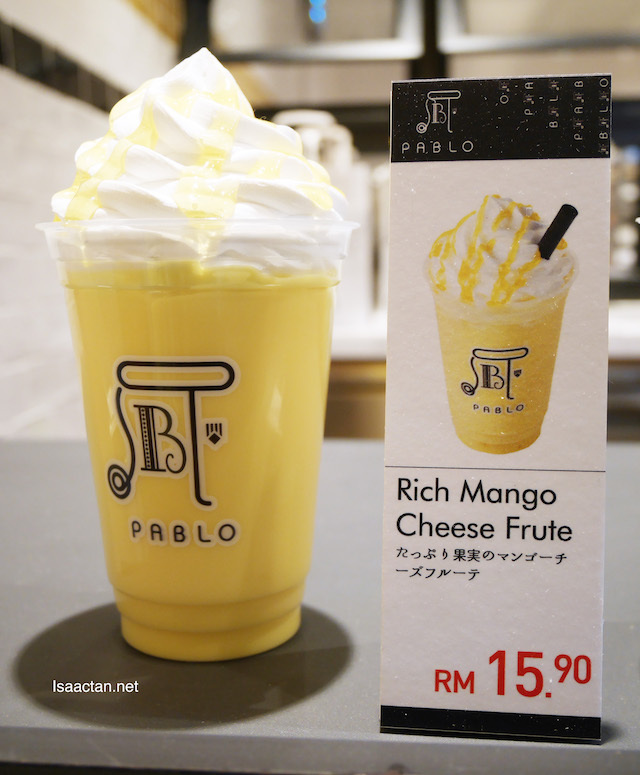 Rich, thick and flavourful, I do think these words aptly describes the various cheese tart drinks from Pablo. 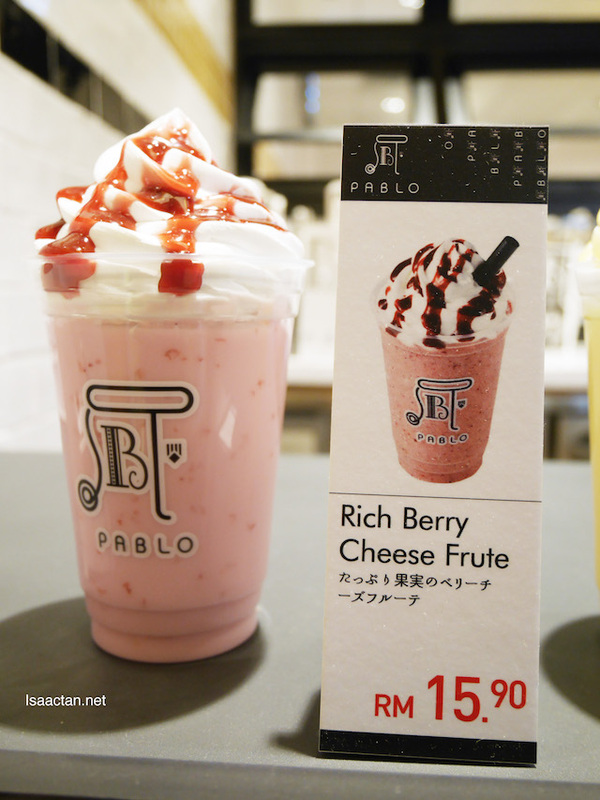 They offer the Classic Cheese Tart flavour, Rich Mango Cheese flavour, Rich Berry Cheese flavour, and even Matcha and Chocolate flavoured beverages. Slightly sourish, yet sweet, the taste is akin to milkshake with cheese. Really nice to gulp down. 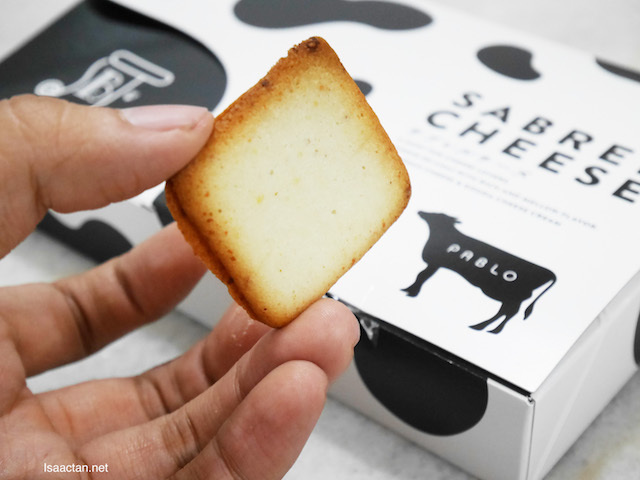 The Pablo Sabrel Cheese biscuit had me wanting more each time I bit into one. 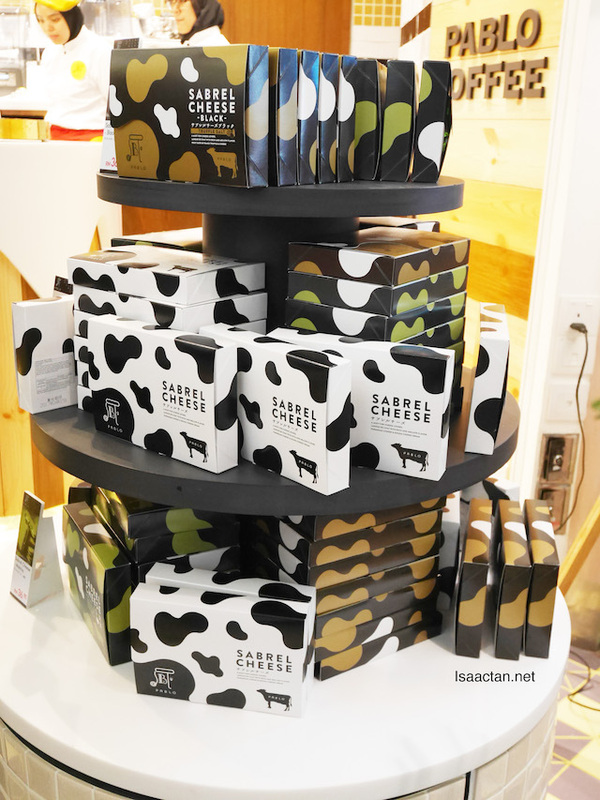 Must try, these butter, cheesy goodness comes in a variety of flavours from white (parmesan cheese & Gouda cheese cream), black (black truffle and cheese) to green (Matcha and cream cheese). Love how each piece tasted so buttery and nice. 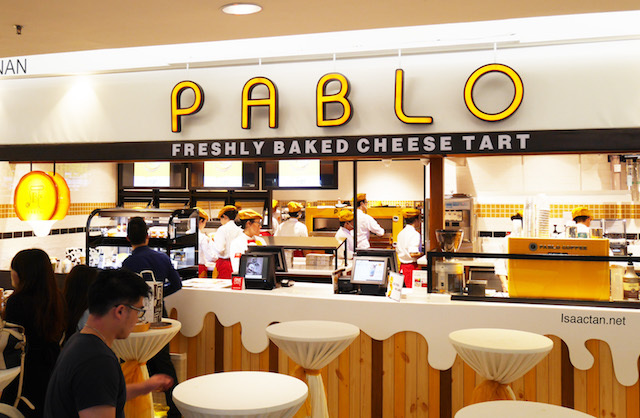 So if you haven't tried them out yet, head on to Pablo Cheese Tarts' outlet in 1 Utama Shopping Centre today itself. Lots of cheesy goodness, with a variety of products and beverages for you to try out. Check their official social media channels below for up to date information and promotions. 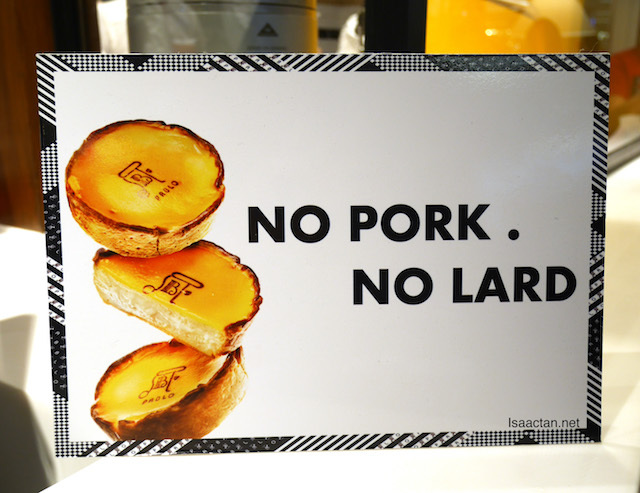 Bet they will be a hit here, like those Hokkaido cheese tarts. their lines are so crazy..even on weekdays early in the morning people were seen queuing up!